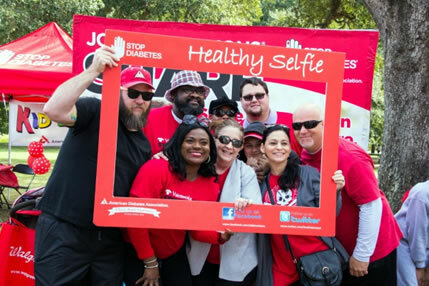 Your gift to the American Diabetes Association® will go a long way in helping us save lives and continue to lead the search for a cure, so that one day we can be free of this disease and its burdens. P.S. Your donation will be credited as a general donation to the team and not to an individual team member. If you want to credit a single team member, please go back and search a participant. If you leave this field blank, your contribution will be labeled as "anonymous" in public-facing lists. PLEASE NOTE: The person you are donating to will be able to see your name regardless of your choice for public name recognition. Does your employer match your contribution? Search for your employer below to view their criteria. Check this box if you'd like to receive an email reminder to submit your matching gift form.